The setting for the day’s ‘Food Follies’ would be the towns, villages, and farms around the Meuse River, dubbed the oldest river in the world. It provided the perfect backdrop for these Food Follies and the cast of cooking characters we met throughout the day. Flour, eggs, sugar, milk – the standard ingredients to making bread. So how can a baker stand out? You take years and generations to hone your craft, and you love baking bread more than anything in life, except for maybe your beautiful wife who brings this little rustic bakery to life. When we walked into LeGrand bakery in Namur Belgium we received a warm welcome from Angela, the wife of the baker Dominique. This is a baking legacy which started in 1831 and has carried on through 6 generations. The bakery was cream colored and simple – it exuded warmth that wasn’t simply coming from the big baking oven in the back. 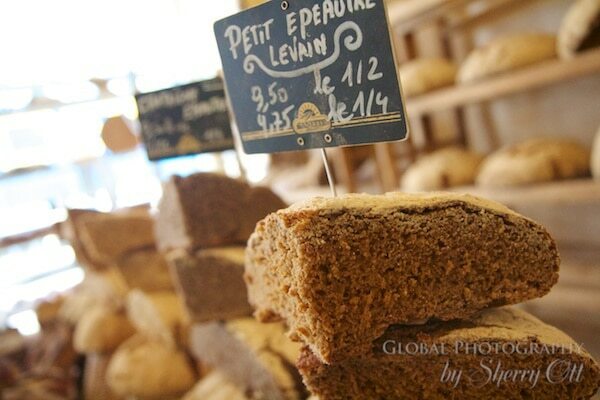 There were racks and baskets of bread taking on various shapes and flavors. A scale covered in a fine dust of flour sat on the counter and a glass chandelier hung from the ceiling providing a shabby chic feel.